What Happened and What is the Solution? 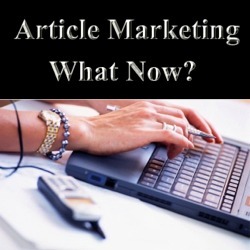 Article Marketing used to one of the tried and true ways to get to the top of the search results for your chosen keywords. This is no longer the case and one of the reasons we created our ultimate guest blogger product. Let’s take a look at what happened and how you can use Ultimate Guest Blogger as your new article marketing source. Why were article sites hit so hard by Google Panda? Well, article sites are often filled with shallow, duplicate, redundant content. After all, people generally publish articles on article directory sites to get a link or two back to their own site. The reality is that most people were not going to spend much time creating a great article for an article site. They want to publish quality articles on their own site not on another site. Thus, the article directories were slammed by Google Panda for having low quality content and they plunged in the search engine results. There were people who were unfairly punished by Google Panda. There were people who published quality articles on article directories. I like to think that I was one of them. In fact, many of my articles on eZine articles ranked highly in the search engines, had achieved high page rank (making inbound links more valuable), and garnered lots of visitors to the article site and to my site. However, in the case of article directories, Google Panda did not seem to differentiate the quality from the rubbish. They penalized the whole article directory site. Thus, people who generated a lot of traffic and good inbound links from these sites were immediately affected. In fact, Google Panda put many people out of business and forced them to change their careers. And the article directories? Article directories make their money primarily by serving ads. After Panda, there were millions less people visiting their sites so they all began losing money and having to reduce staff. In an effort to survive, article directories began enforcing quality content guidelines so they could survive in the new post Google Panda world. What does this mean for you? It means that it may take several revisions and weeks to simply get one article published. When you visit our home page, you will see that we call Ultimate Guest Blogger “The Article Marketing Answer in the Post Google Panda World”. Ultimate Guest Blogger was created to fill the void left by the article marketing meltdown and to improve upon the solution that article marketing offered. Let’s take a look at how Ultimate Guest Blogger has become the article marketing answer in the post-Google Panda world. If you are familiar with article marketing, you know the tedious task of creating accounts on all of the various platforms. You needed to create one or multiple accounts on eZinearticles, ArticlesBase, GoArticles, and many more to do it effectively. The creation and maintenance of these accounts sometimes seemed like a job in itself. Ultimate Guest Blogger has already done all of the work. You only need your account with Ultimate Guest Blogger and you are done! Because article marketing sites now have stringent article quality requirements, it can literally take weeks to get one article published. With Ultimate Guest Blogger, all articles are immediately published on quality blogs. We assume quality and you should deliver it every time! One thing that really sets our guest blogging apart as the best article marketing solution is the type of inbound links that you can create. Typically, article marketing companies only allow you to include links to your websites within the footer, or resource box, of an article. With our guest posting product, you can include 3 contextual links in the body of the article which elevates that inbound link in the eyes of the search engines. So, when you become a member of Ultimate Guest Blogger, where will your articles be published? All of your articles will be published on high quality blogging sites. We have done the legwork and setup accounts on sites that are very high-value, blogging sites, like WordPress, Blogger, and many others. All of these sites are well-regarded in the eyes of Google. One thing that always amazed me was the amount of time that people would spend publishing articles in article marketing directories, like ArticlesBase, when that directory would “no-follow” all of their links. A no-follow links means that Google does not even count it. With Ultimate Guest Blogger, all of your links are contextual, do-follow, inbound links. If you have ever published articles in many article directories, you know that you have to navigate each site differently. For example, publishing an article on eZine subjects you to different rules and different interfaces than if you want to publish on GoArticles. It’s as if everyday you are re-learning new websites with different rules and methods. With Ultimate Guest Blogger, you have one easy to use interface and that’s it! Trying to publish an article in article directories now is like pulling teeth. To maintain their standards in a post-Panda world, article directories almost fear new articles and put them through stringent tests. As such, it can literally take forever to publish new content. However, at Ultimate Guest Blogger, your articles are published immediately. As we say, we assume quality and you delivery. If not, you will be banned. Sometimes I laugh at what is valued by Google Panda. For instance, now Google values larger, more well-known sites just because they are larger and well-known. However, this does not mean that they are quality. They often publish rubbish. Ever seen some of the shallow content on the Huffington Post? But, the fact is, Google values this. With many authors joining forces, Ultimate Guest Blogger uses the power of many to become one of the big boys. 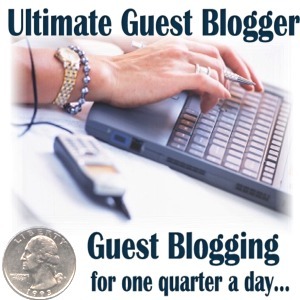 All of the above benefits of the ultimate guest blogging product can be had immediately. After sign-up, you are ready to go. You will be redirected to our author page where you can begin publishing quality articles on quality blogs with contextual do-follow inbound links! Back in the fall, I wrote and article called Google Panda and Article Marketing. In this article, I concluded that, while article marketing is not dead, it does not hold the promise that it once did. Now, after the creation of Ultimate Guest Blogger, I can say with pride that article marketing is back and Ultimate Guest Blogger is the solution!